Picture a hailstone the size of a soccer ball, headed straight for your rooftop air conditioning unit. Thankfully, that 8-inch-diameter hailstone that fell in South Dakota in 2010 was a rare record-breaker in the U.S. But even hailstones smaller than a golf ball can wreak havoc on rooftop condensing units, chillers, cooling towers and exhaust fans. 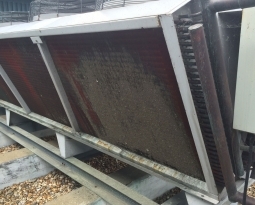 Hailstones bend and damage HVAC fins, reducing or even completely blocking air flow to the condenser coil. 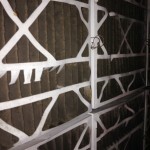 That strains motors and compressors, ups energy costs and causes thousands of dollars in damage. Your best bet? Protect your investment. Permatron HailStop Hail Guard netting is a rigid black polypropylene that deflects airborne objects and protects delicate fins. 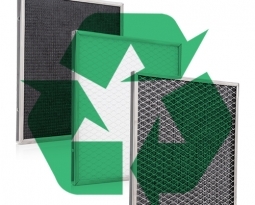 The netting is easy to install, clean and remove with lockable plastic mounting clips. “I installed the HailStop coil guard today. My customer was pleased. I picked up a handful of gravel and threw it directly at the coil and it bounced right off. 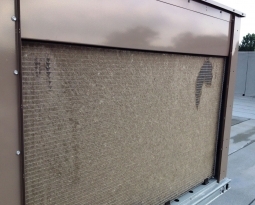 I was impressed.” — Andrew Bennett, Cornerstone Mechanical, Nashville, TN. Some states average 1,000 hail events a year. Don’t take your chances with Mother Nature — get a safety net for your HVAC system instead. P.S. 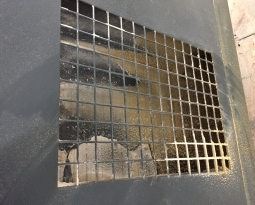 Want even more protection against “intruders?” Couple Hail Guard with Permatron PreVent Air Intake Filters, which stop cottonwood, dust, debris and other contaminants from entering your system.